The Green Peace ship with more than 500 young Japanese and Korean volunteers on board berthed at Cai Lan Port in Ha Long, Quang Ninh province yesterday. 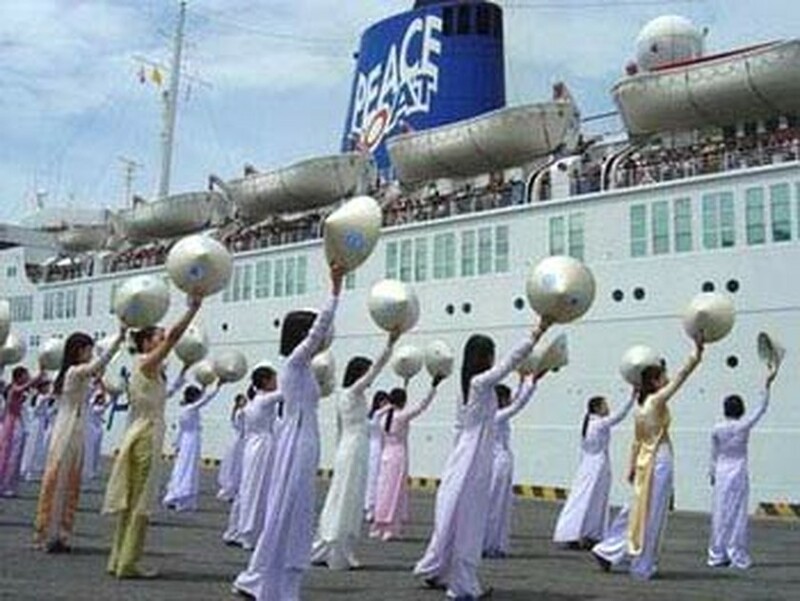 Carrying the message "Peace, Anti-war and Environmental Protection", the ship has already been to Japan and Hong Kong and will sail on to the Philippines and Korea after leaving Viet Nam. On their first day here, the visitors met with young people from Ha Noi, Hai Phong, Thai Ninh and Quang Ninh to learn about Viet Nam’s traditional craft villages, the war, problems caused by the wartime defoliant Agent Orange, and environmental protection. One hundred of them spent yesterday and today staying in private homes in Quang Ninh’s Yen Hung District. They also took part in a seminar on the environment and marched through the streets to trumpet the cause of environmental protection.